Students with Down syndrome are being denied their right to an effective education due to a lack of resources and training for teachers. 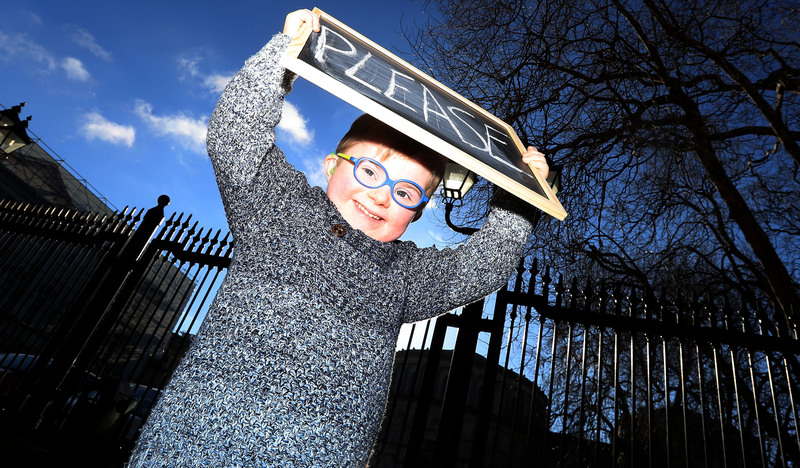 Down Syndrome Ireland is calling on the Government to adequately resource and roll out a national training programme for teachers in mainstream schools. 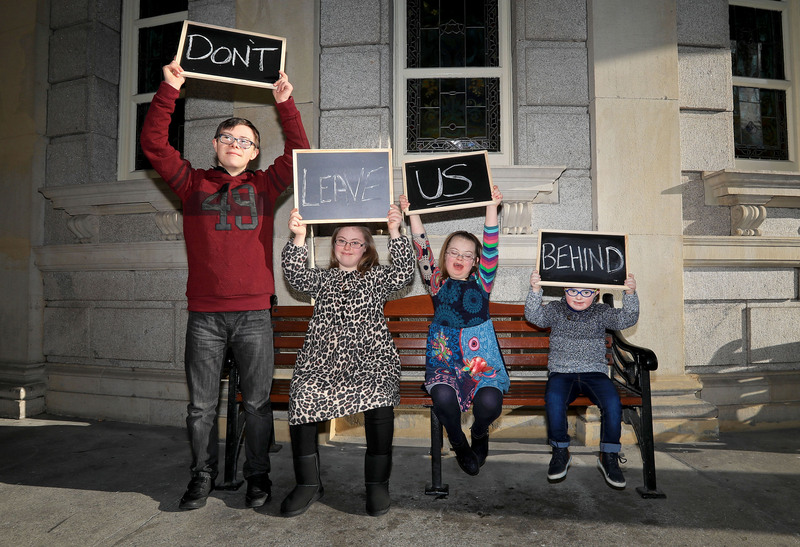 Parents and children with Down syndrome spoke at a briefing in Leinster House in front of TDs and Senators hosted by Fianna Fail TD Niamh Smyth and Spokesperson on Disability Margaret Murphy O’Mahony asking ‘Please don’t leave us behind’ in Down Syndrome Irelands campaign to ensure full inclusion in our nation’s classrooms. The call came after Teachers’ Unions the ASTI and TUI advised their members to stop implementing individualised education plans for students with additional needs, such as those with Down syndrome, due to a lack of funding and adequate training provided to their members. Children and adults with Down syndrome share how access to the right support in education has greatly improved their lives regardless of their ability. What are individualised education plans and why are they so critical? DSI Education Officer Fidelma Brady explains why adequately resourcing and training teachers so they can provide individualised education planning for children with Down syndrome is critical to ensure they are put on a lifelong path to independence, rather than disability and dependence. Yann O’Caroll (18) from Tralee in Kerry tells us about his educational journey, outlining why Individual Education Plans are so critical for him to reach his full potential so he can access further education and meaningful employment in the future, like all other young people his age. Yann’s father Gerard O’Caroll give us his own perspective on how his son has progressed in education thanks to individual education plans. 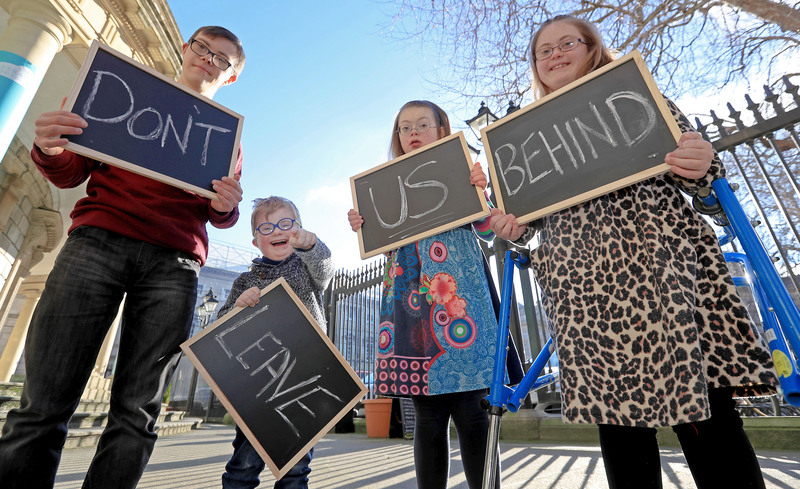 Down Syndrome Ireland is also calling for the July Provision programme, which provides funding to extend the school year for children with certain special needs, to be extended to all children with Down syndrome. We estimate that extending the programme to all children with Down syndrome would cost just €1m a year. Children with Down syndrome need the additional support during the Summer months so they can catch up with their peers and stay in mainstream education. The charity says that by limiting July Provision, children with Down syndrome are actively discriminated against. 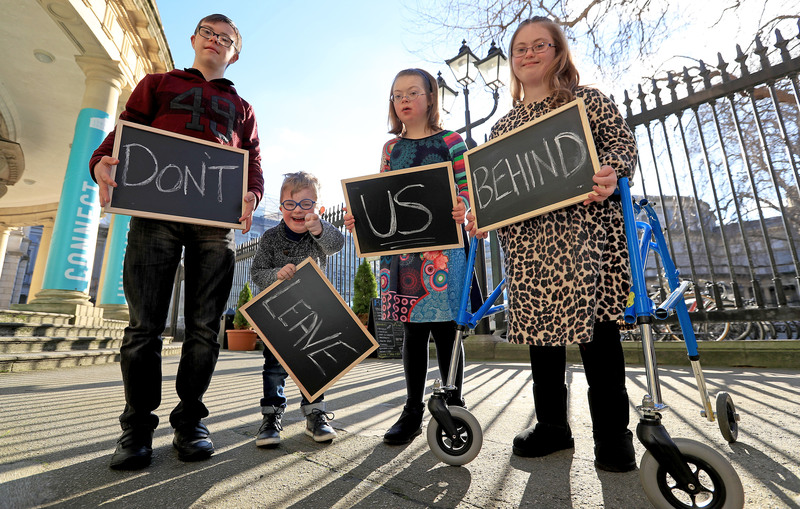 Nicola Hart, Head of our Member Support Team with Down Syndrome Ireland, explains why continuity in education – July Provision – is so critical for students with Down syndrome. Parent Rebecca Smyth tells us why July Provision is so important for children like her son Simon (6). 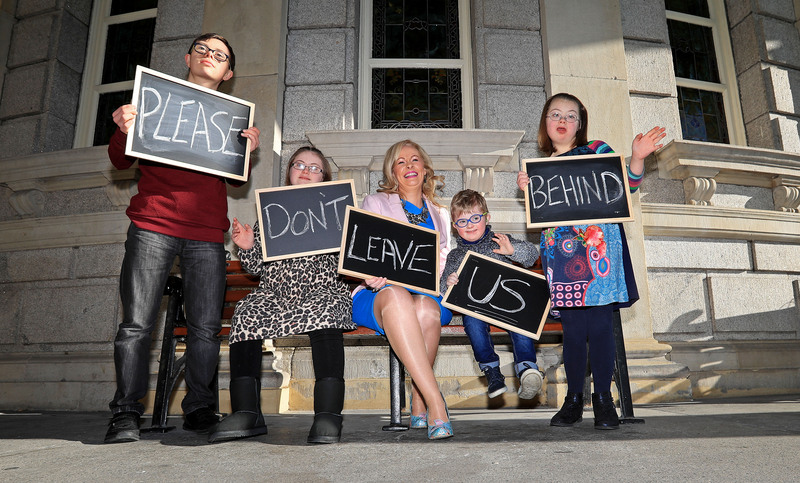 Our children’s futures are in the hands of the Government as we ask ‘Please Don’t Leave Us Behind’. Download the full ‘Please don’t leave us behind’ PowerPoint presentation. DSI Education Officer Fidelma Brady appears in Leinster House as part of our ‘Please Don’t Leave Us Behind Campaign’ explaining why adequately resourcing and training teachers so they can provide individualised education planning for children with Down syndrome is critical to ensure they are put on a lifelong path to independence, rather than disability and dependence.